Footage has emerged of the rescue operation currently underway on the Woodhead Pass after a serious accident closed the road in both directions. The Woodhead Pass (Image: Google). The road is currently closed in both directions between the between the A57 Gun Inn and the A616 Flouch roundabout following an incident between Holme Moss and Dunford Bridge. 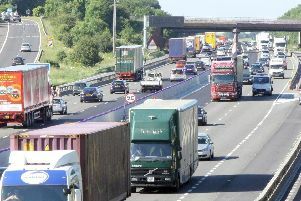 Traffic is being diverted via Holmfirth and drivers needing to travel between Greater Manchester and South Yorkshire are being encouraged to use the M62 or A57 Snake Pass. 'Trapped' traffic is being turned round at the scene.